The Park crew in front of R572. Crew photo courtesy Park nephew John Park and Marich niece Diane Mcleod. 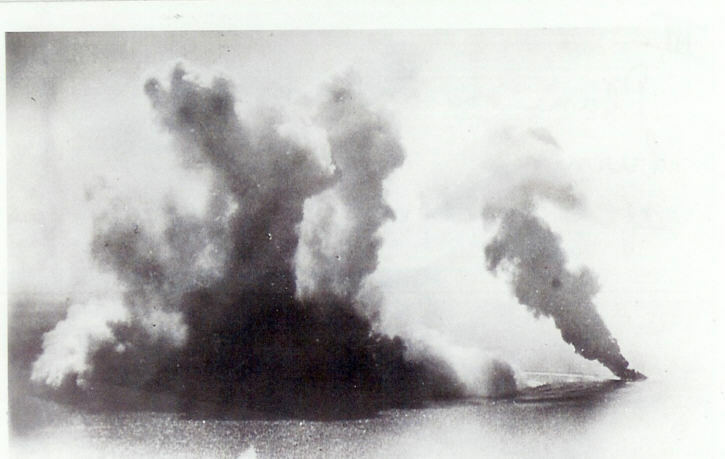 The Park crew was with VPB-118 barely one month before they, their plane, and the Japanese 2300-ton freighter they were attacking were obliterated in an enormous explosion. 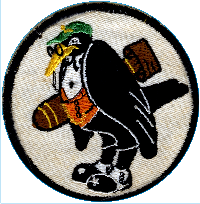 They joined the squadron as a relief crew 7/7/1945 and were declared MIA on August 8, 1945. The crew was declared KIA a year later. The Park Crew; exact date, location, and personnel unknown. Courtesy of Park nephew John Park and Marich neice Diane Mcleod. PPC Lt. (jg) John Park. Photo courtesy of Park nephew John Park and Marich niece Diane Mcleod. 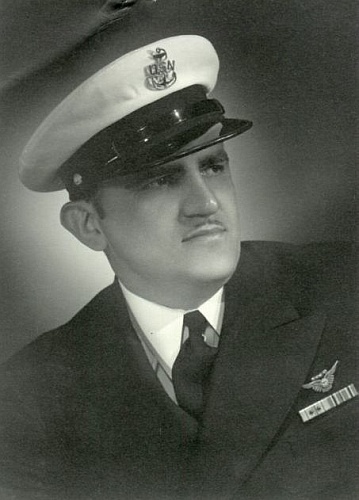 Chief Petty Officer Mike Marich; photo courtesy of Marich niece Diane Mcleod. 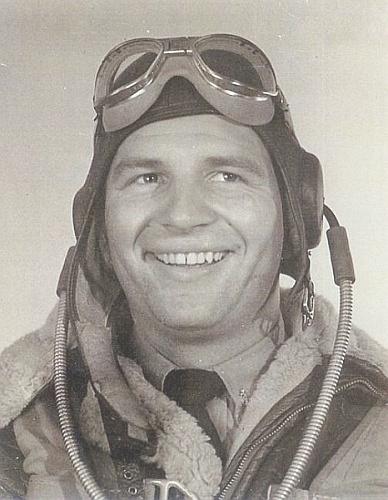 AOM3c Bob Koontz. Photo courtesy of Bob Koontz, grandson. 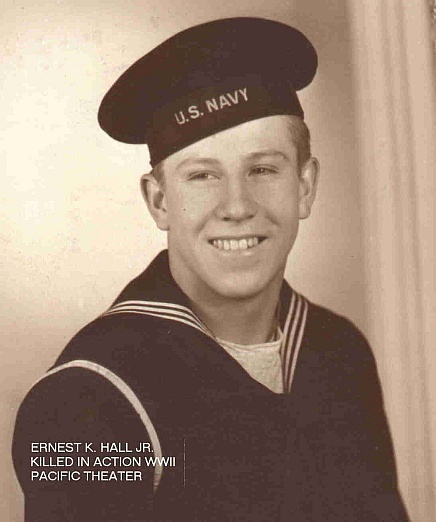 ARM3c Ernest K. Hall, Jr. Photo submitted by Chuck Hipple, nephew of Hall. 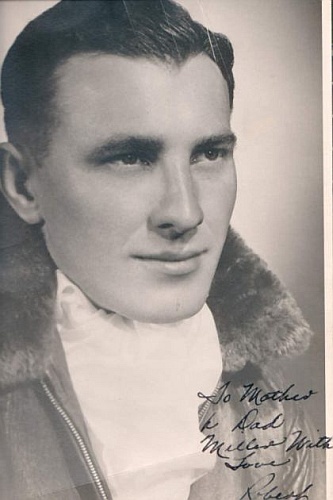 John Murray James AMM3c. Photo courtesy of Peggy Wilkins, niece. 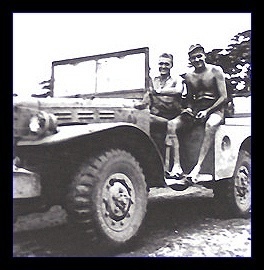 Another shot of John Murray James AMM3c (left), unknown location in Pacific theater. Photo courtesy of Peggy Wilkins, neice. 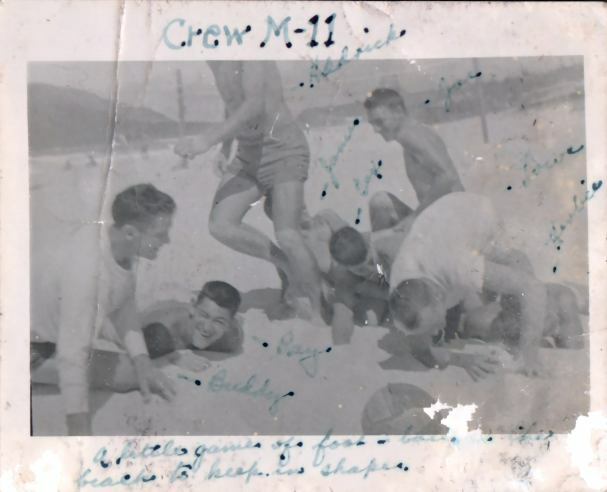 It is not known why Crew is designated “M-11” in this photo but one possibility is that they were still in training at this point. The caption says “a little game of football (illegible) beach to keep in shape.” Possibly the beach is at San Diego or Hawaii. 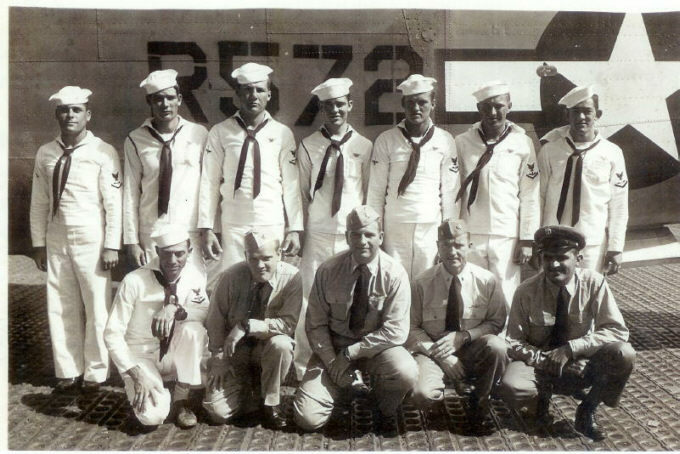 They are (L-R) Paul Preitz, Raymond Reinhart, Mike Hedrick, John James, Carroll “Tex” McKinney, Joe Piquette, Ens. Loris Lowe, and Herbert Wartzack. 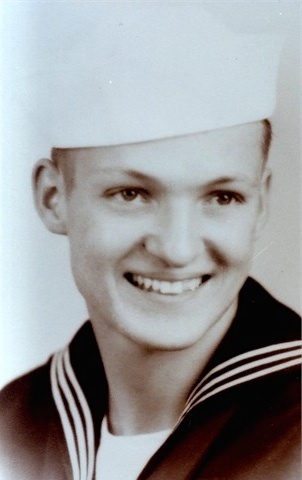 Photo submitted by Bob Koontz, grandson of Robert Koontz, who took the picture. Park Crew strafes Japanese 2300-ton freighter. Photo taken from Rinehart plane - Park plane not visible. Photos courtesy of Park nephew John Park and Marich neice Diane Mcleod. 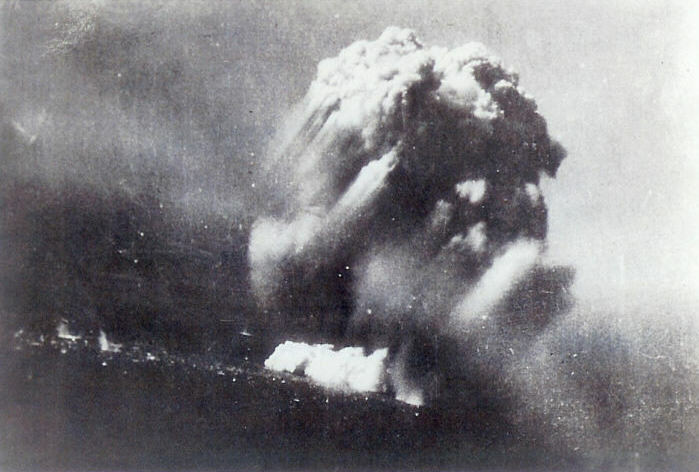 Park plane and Japanese 2300-ton freighter engulfed in huge explosion. Photo was taken through plexiglass bubble, which may explain blurred band running diagonally across photo. There is a curious pattern of large splashes on the left side of the image. The book states that debris was thrown 1,000 feet in the air and the blast from the explosion threw the Rinehart plane 150-200 feet sideways despite being about a mile distant. Rinehart stated that he expected the wings to come off of his plane. Photos courtesy of Park nephew John Park and Marich neice Diane Mcleod. This grim image captures the aftermath of the ship explosion. 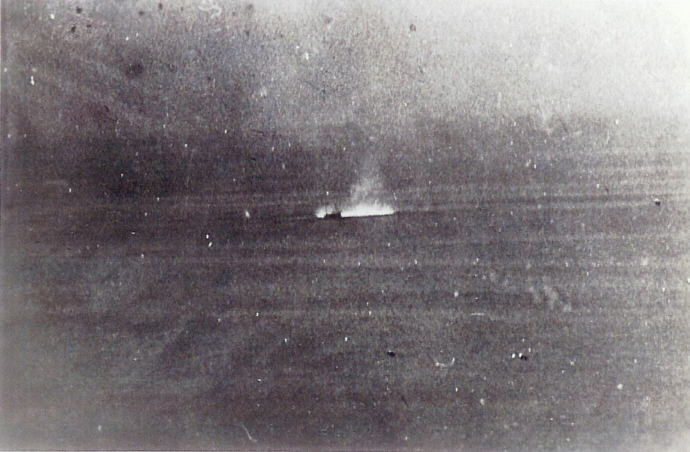 No survivors from either Park's PBY4-2 or from the Japanese freighter were observed. Small amounts of floating debris were seen, including an empty life raft, a sleeping bag, and a nose wheel. After searching for a half hour, Rinehart left the location. 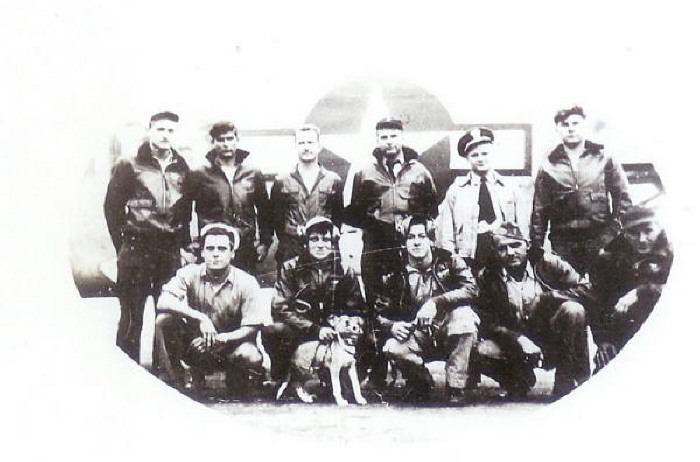 The entire crew was declared MIA later that day, and about a year later it was declared KIA. Photos courtesy of Park nephew John Park and Marich neice Diane Mcleod.